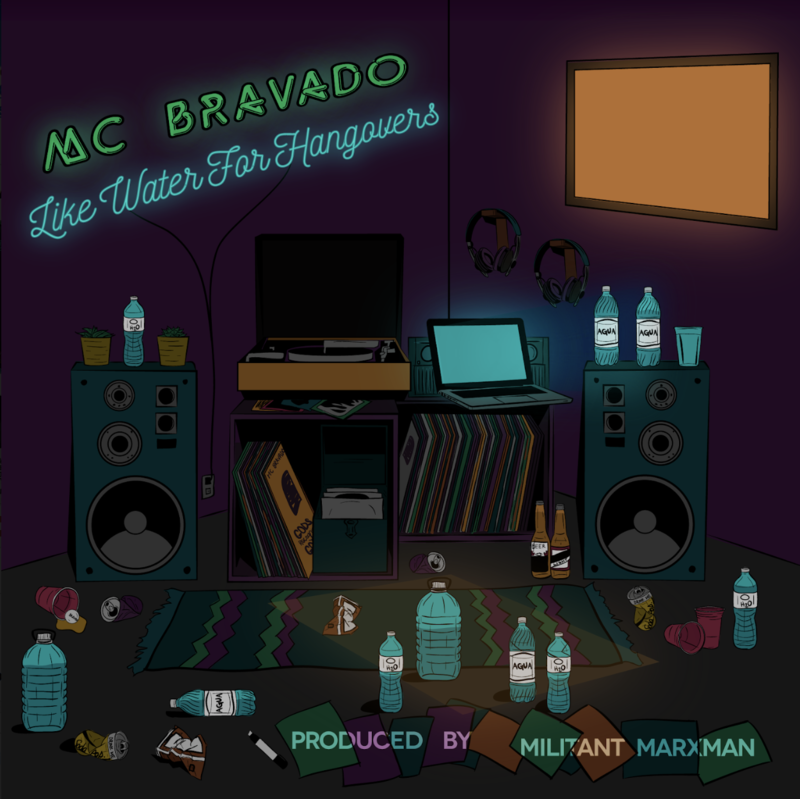 Baltimore Native MC Bravado Returns With New Album, ‘Like Water For Hangovers’ | RESPECT. The DMV has been on fire lately. With Goldlink leading the charge, the area has been producing fresh new artists with exciting energy. Looking to jump in the fold, Baltimore native MC Bravado checks in with his new album, Like Water For Hangovers. The 16 song project was produced entirely by Militant Marxman, another member of Bravado’s Cypher Junkies collective. The album showcases a marriage of Marxman’s golden era crate alchemy and dusty sensibilities with MC B’s ever-varying sense of cadence and stylistic punches. Brought to you by Soulspazm, featuring Statik Selektah and many more, Like Water For Hangovers is a solid look into an exciting new artist.